A number of Tory MPs have called on Energy and Climate Secretary Ed Davey to reconsider the government's biomass subsidy scheme. MPs, including Chris Heaton-Harris, have written to Mr Davey following a warning by the chief executive of Eggborough power station that it could be forced to close following a change in funding for green energy projects. The coal-fired power station - which is one of the UK's biggest - was set to be converted into a biomass power station in a £750 million scheme. This project was designed as a response to the rising cost of carbon taxes and introduction of tighter environmental legislation. However, the government is set to introduce an annual cap on the amount of green energy projects eligible to receive funding - under the Contract for Difference (CfD). 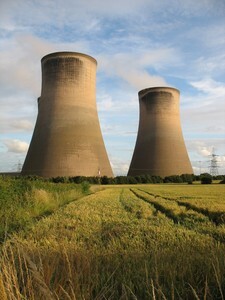 Just one project is currently expected to receive funding, which means that Eggborough could face competition from the likes of the Drax power plant. An announcement regarding the projects eligible for funding is expected to be made this week. Eggborough chief executive, Neil O'Hara, has stated that the power station could close if it doesn't meet the eligibility requirements - with 800 jobs potentially at risk. He also added that closure could have an impact on household energy bills - with Eggborough producing around four per cent of the UK's electricity supply. In the letter, sent last Friday, the coalition of 11 MPs, wrote: "Should this project not proceed, thousands of direct and indirect jobs will potentially be lost in our constituencies, as well as a senseless missed opportunity to create thousands more across the core industries in which our region has such a long and proud heritage. The letter continued: "If the government seriously intends to rebalance the UK economy, attract inward investment, support and grow cornerstone industries such as engineering and construction and infrastructure, let alone avoiding significant job losses, projects such as this must be a real priority."